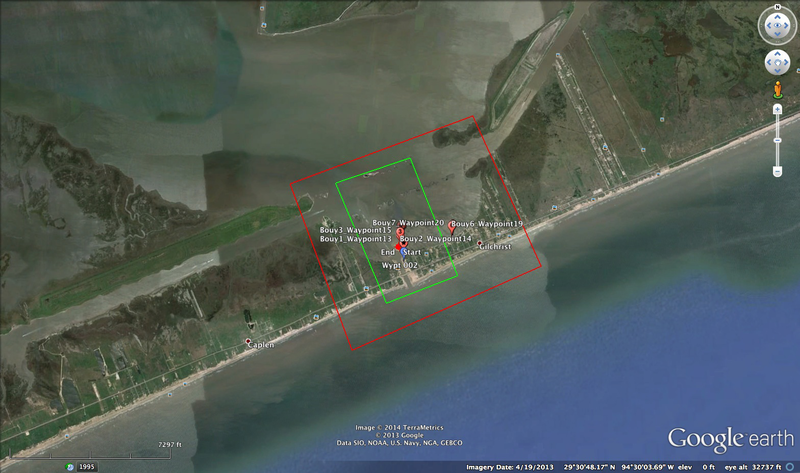 Rollover Pass on the Bolivar Peninsula, before and after Hurricane Ike, showing storm surge deposits. Green pins (left images) show locations of sediment samples and cores. 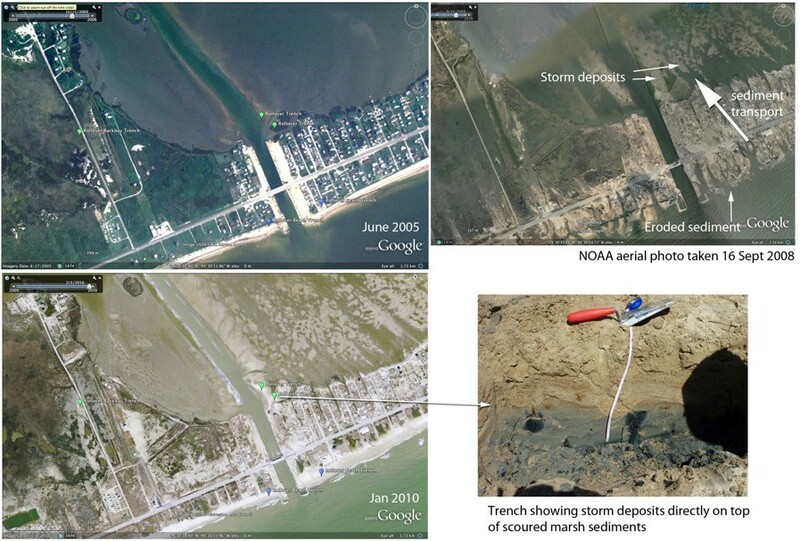 The top right image was taken 3 days after the storm and shows the sediment pathway as it eroded from the beach and transported and deposited in the bay. Lower right image shows the hurricane deposits on top of former marsh sediments exposed in a trench (arrow shows trench location). Transect boundaries (approximate) for aerial data collection. Buoy locations are marked with red pins.